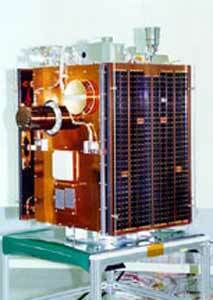 Kitsat (Korean Institute of Technology Satellite 3), renamed on orbit as Uribyol 3, was the first Korean satellite in true sense was launched by an Indian PSLV-G (2) rocket in May 1999. The satellite's bus system was designed and developed by the SaTReC. The KITSAT-3 payload, MEIS(Multi-spectral Earth Imaging System), attracted international attection by its outstanding performance(13.5 m resolution), which provides image quality comparable that of large satellites.